What are the Differences between an Animal Hospital and a Veterinary Clinic? Here are some of the differences between the two types of pet health care facilities. If you’re a first time pet parent, you might not know what the differences are between an animal hospital and a veterinary clinic. Even if you’ve had pets for years, the distinction might still be fuzzy for you. Here are some of the differences between the two types of pet health care facilities. It’s easy to assume that the size of the building is what makes the difference. But hospitals need that room so they can house sick or injured pets who need longer-term care. They also need more equipment to run more comprehensive tests than a regular clinic can do. That doesn’t mean that a clinic isn’t worth visiting – it just depends on the type of medical attention your furry friend might need. In a full service animal hospital, you can expect some of the following. Radiology and laboratory tests, laser surgeries, ultrasounds, routine surgeries, dental work, overnight stays, and intensive care facilities. Your nearest animal hospital will have more vet techs on shift at a given time, and will probably be open longer hours into the night or over the weekend, especially when they need to perform emergency care for your pets. 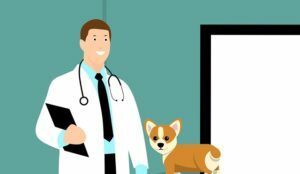 A clinic doesn’t necessarily have to be attached to a pet store, but that is probably the first thing that comes to mind when you think of one. Clinics typically provide your pet with wellness exams centered on preventative care and regular checkups. While they can perform spaying and neutering procedures, for more complex cases they’ll need to refer out to a better-equipped hospital. While they’ll have medications and medicines, they might not be as well-stocked as an animal hospital would be. This entry was posted on Friday, March 15th, 2019 at 11:21 am. Both comments and pings are currently closed.